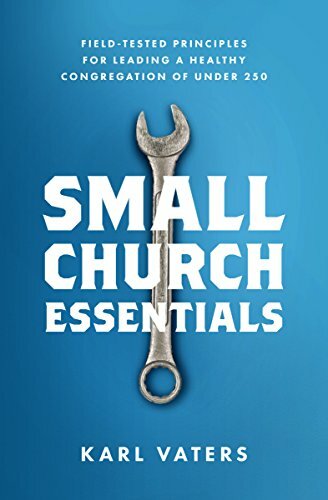 Is it possible for a church to rely too heavily on technical excellence? That was the crux of a recent conversation I had with an old friend. Are millions of believers being lulled into passivity by the excellence of their church’s programs? It made me wonder, are millions of believers being lulled into passivity by the excellence of their church’s programs, without having my friend’s awareness of it? Sometimes we need to give God our second best. Before I tell you what I mean by that, let me tell you what I don’t mean by it. 1. I’m not saying we shouldn’t give God our best, too. Giving God our second best means we should give him our all. That includes best, worst and everything in between. 2. I’m not saying excellence is wrong. Whatever we do – especially what we do for the cause of Christ – should be done with all the effort, passion and excellence we have. But sometimes what we have is more raw than polished. 3. I’m not saying small churches are second best. My friend’s experience just happened to have a big church / small church dynamic to it. But that doesn't mean a small church is a second-best experience. As a pastor of a great small church, I know that to be true. 4. I’m not saying big churches are bad. The passivity my friend experienced in a big church happens in small churches too. Whenever ministry is seen as something done by professionals, we create passive consumers, not passionate disciples. We need to guard ourselves against the tendency for technical excellence to replace or stifle our innovative passion. I should probably be quoting Charles Spurgeon instead of a member of the Rolling Stones, but Keith has a great point. For 50 years, he and his band have set a benchmark for the gritty, disjointed, less-than-perfect band that blows the audience away with their sound, fury and passion.